I'll put the most important thing first, then explain it. This is just my opinion, and applies only to North Carolina law, but since deadlines may be running, I wanted to get it out there. If you settled a case (by minor settlement, signed release, or Industrial Commission approval) in which Medicaid claimed a lien, between October 1, 2017 and February 9, 2018, you have 30 days from February 9 to file a motion in Superior or District court to seek a reduction of the lien under NCGS 108A-57. 30 days runs on the weekend of March 10-11, so calendar that for Friday March 9, 2018 (unless you want to play chicken with the weekend rule). Example: You settled a claim on October 15, 2017 that had a Medicaid lien that exceeded 1/3 of the settlement. You paid Medicaid 1/3 of their lien (or held the money) because there was no longer a statutory mechanism to reduce the lien. You now have until March 9, 2018 to file a motion to reduce Medicaid's lien. For a Workers Compensation case, the date upon which the Clincher is approved. In addition to cases "Settled" during the period of October 1, 2017 and February 9, 2018, if you had a claim that settled up to 29 days before October 1, 2017, you may still have time to file for the lien reduction. I can't tell you if you get only the remaining time you had left as of October 1, 2017, or if you get until March 9, 2018. Play it safe and choose the shorter time and file. Example: You settled a claim on September 15, 2017. Your 30 day window to file a motion for reduction would have run on Sunday, October 15, 2017. But because federal law and state law changed on October 1, 2017, you could not file for a hearing. I think, in the most conservative view, you now have the remainder of the time you would have had after and including October 1. And that remaining time begins to run again starting February 9, 2018. October 1 to October 15 is 15 days. February 9, 2018 plus 15 days is Saturday, February 24, 2018. You would need to FILE the motion before February 24, 2018. Think of it as a statute of limitations which is stayed because a person goes into a coma and becomes incompetent, but then they regain consciousness 5 months later and the statute starts ticking again where it left off. Below I set out the history on this and then pose some questions you might have. Pay attention to the part where we discuss what happens if you paid Medicaid from October 1, 2017 until February 9, 2018. You may have an obligation to ask for a refund. How did this get so screwed up, and what's Medicaid subrogation? Up until 2006, the law was clear that NC Medicaid was entitled to 100% of their lien, not to exceed 1/3 of a settlement, prorated with medical providers who had valid liens. In 2006, SCOTUS ruled in Arkansas v. Ahlborn that state medicaid subrogation statutes could not just set a percentage recovery of the settlement as the amount of subrogation and ingnore the relationship between the gross settlement, the client's recovery and the amount claimed in the medicaid lien. Ahlborn said states had to allow for a hearing mechanism for courts to set the lien in light of the recovery amount and how much of the recovery was for medical treatment as a proportion to the whole recovery. Most states revised their Medicaid subrogation statues in 2006 and started to allow hearings to reduce Medicaid recovery. They called them "Ahlborn hearings." North Carolina did NOT follow Ahlborn. Much to everyone's frustration. Several lawyers in NC challenged Medicaid's refusal to follow SCOTUS' ruling in Ahlborn. All of the state actions challenging Medicaid's refusal failed in our appellate courts. LIABILITY SETTLEMENTS.— (1) STATE PLAN REQUIREMENTS.—Section 1902(a)(25) of the Social Security Act (42 U.S.C. 1396a(a)(25)) is amended— (A) in subparagraph (B), by striking ‘‘to the extent of such legal liability’’; and (B) in subparagraph (H), by striking ‘‘payment by any other party for such health care items or services’’ and inserting ‘‘any payments by such third party’’. (2) ASSIGNMENT OF RIGHTS OF PAYMENT.—Section 1912(a)(1)(A) of such Act (42 U.S.C. 1396k(a)(1)(A)) is amended by striking ‘‘payment for medical care from any third party’’ and inserting ‘‘any payment from a third party that has a legal liability to pay for care and services available under the plan’’. (3) LIENS.—Section 1917(a)(1)(A) of such Act (42 U.S.C. 1396p(a)(1)(A)) is amended to read as follows: ‘‘(A) pursuant to— ‘‘(i) the judgment of a court on account of benefits incorrectly paid on behalf of such individual, or‘‘(ii) rights acquired by or assigned to the State in accordance with section 1902(a)(25)(H) or section 1912(a)(1)(A), or’’.EFFECTIVE DATE.—The amendments made by this section shall take effect on October 1, 2014. The very small change to the subrogation language in federal law had the effect of rendering Ahlborn and Wos moot as both cases depended on the specific language which said "payment by any other party for such health care items or services" and "payment for medical care from any third party" as the basis for the court's reasoning that Medicaid must, for lack of a better term, prorate settlement funds with the victim of negligence. I called several members of Congress and found out that the provisions had been slipped in at the last minute and had been pushed by private third-party subrogation companies like Rawlings and HMS who are contractors for many state Medicaid offices. Because these private companies take a percentage of recoveries they recover for the statse, they did not want to have payments to Medicaid (and their profits) lowered in favor of injured victims. The statute changes did not go into effect until October of 2014, and under pressure from consumer groups, advocates for the disabled, and AAJ, the effective date was pushed to October of 2016. Then as we got closer to October of 2016, it was pushed to October of 2017. Victims of negligence who faced massive injuries with small liability policies were receiving relief from unwieldy Medicaid liens. Injured Plaintiffs could then use those funds to pay for services that Medicaid would not cover for the disabled Plaintiffs. Additionally, Medicaid was still prorating their recovery with valid medical lien holders under NCGS 44-49. Meanwhile, in 2017, with a new Congress and new President, the North Carolina legislature inserted a change to NCGS 108A-57 in the July 2017 Budget (Senate Bill 257). The changes included a complete re-write of NCGS 108A-57, which eliminated a lien reduction hearing, re-instituted the 1/3 cap on Medicaid recovery (the Plaintiff repaid Medicaid 100% of the lien up to 1/3 of the gross settlement) and the proration with unpaid medical providers with valid liens was eliminated. "§ 108A-57. Subrogation rights; withholding of information a misdemeanor. Consumer lobbying groups were unable to persuade Congress and HHS to delay the implementation of the October 1, 2017 changes, and therefore NC law changed on October 1, 2017 pursuant to the "IF/THEN" portion of the statute. Which brings us to February 9, 2017. As many of you will recall, after a brief shut down of the US government from midnight of February 8 to the early hours of February 9, Congress passed and the President signed H.R.1892 - Bipartisan Budget Act of 2018. Based upon the language of the Bipartisan Budget Act of 2018, the changes to the key language which vitiated Ahlborn and Wos in 2013 and went into effect on October 1, 2017, are now a nullity. According to the newest federal law, the changes in 2013 were never put into effect on October 1, 2017, because they were repealed on September 30, 2017. And because Section 202(b) of the Bipartisan Budget Act of 2013, did not take effect on October 1, 2017, there is no change to NCGS 108A-57, the Medicaid subrogation statute. So what is the deadline to file for 108A-57 hearings to reduce Medicaid's lien for cases settled from October 1, 2017 to February 9, 2018? The way the federal changes were implemented on February 9, 2018 leaves a vacuum from October 1, 2017 until February 9, 2018 for all settlements where Medicaid claimed a lien on settlement proceeds. Obviously, during that time period, a Plaintiff had no statutory mechanism to file for a Medicaid reduction hearing under NCGS 108A-57. So there can be no 30 day time limit to file during those months. So what happens to Plaintiff cases that settled (by release, minor settlement of Industrial Commission Order) from October 1, 2017 until February 9, 2018? The only logical conclusion is that the 30 day time limit to file a motion for Medicaid lien determination for cases settled from October 1, 2017 through February 9, 2018, begins on February 9, 2018 and runs 30 days until and including Friday March 9, 2018 (or Monday March 12, 2018 if you want to use the "weekend rule", but why risk it?). This means that if you settled a case during that time, you MUST file "by applying to the court in which the medical assistance beneficiary's claim against the third party is pending, or if there is none, then to a court of competent jurisdiction, for a determination of the portion of the beneficiary's gross recovery that represents compensation for the Medicaid claim. An application under this subsection shall be filed with the court and served on the Department pursuant to the Rules of Civil Procedure no later than 30 days after the date that the settlement agreement is executed by all parties and, if required, approved by the court, or in cases in which judgment has been entered, no later than 30 days after the date of entry of judgment." Practically, this means you need to file a motion for determination if you have a case pending, and if you don't, you will need to file a Complaint in the underlying action and include a motion to determine Medicaid's lien. What if I had a case settle less than 30 days before October 1, 2017, but I didn't get a motion filed before October 1, 2017? I think that the most conservative approach would be that you get whatever time you had left in your 30 day time limit added on beginning February 9, 2018. So if 25 days had gone past from the settlement of your case in September of '17 when October 1 happened, you would get 5 more days to file, beginning February 9, 2018 and ending February 13 (or maybe 14th depending on how you count it). What if I paid Medicaid 100% or 1/3 of the settlement from October 1, 2017 through February 9, 2018? If you paid Medicaid during the "vacuum time" of October 1, 2017 through February 9, 2018, I think you have a 30 day window to request a hearing to have the lien payment evaluated by a court. I would assume that if you convinced the Judge that your client did not need to pay the Medicaid lien 1005 of 1/3 of the settlement, that the Judge could order Medicaid to issue a refund for the overpayment. Also keep in mind that Medicaid now has to pro-rate with unpaid medical providers with valid liens. What if I paid Medicaid 100% or 1/3 of the settlement from October 1, 2017 through February 9, 2018 and I'm ok with the amount BUT I wasn't able to pay valid medical lien holders because Medicaid would no pro-rate under the revised statute in effect at that time? This is a harder question. Before October 1, 2017, you could tell Medicaid you had valid lien holders, prove that with copies of the liens, and reduce Medicaid's lien by the prorated amounts of the medical lien holders. You didn't need a hearing to make Medicaid prorate. It was by operation of law in all scenarios where you pay subrogation:. (1) If, upon the expiration of the time for filing an application pursuant subsection (a2) of this section, no application has been filed, then the amount presumed pursuant to subsection (a1) of this section, as prorated with the claims of all others having medical subrogation rights or medical liens against the amount received or recovered, shall be paid to the Department within 30 days of the beneficiary's receipt of the proceeds, in the absence of an agreement pursuant to subsection (a3) of this section. a. If the beneficiary rebuts the presumption arising under subsection (a1) of this section, then the amount determined by the court pursuant to subsection (a2) of this section, as prorated with the claims of all others having medical subrogation rights or medical liens against the amount received or recovered, shall be paid to the Department within 30 days of the entry of the court's order. b. If the beneficiary fails to rebut the presumption arising under subsection (a1) of this section, then the amount presumed pursuant to subsection (a1) of this section, as prorated with the claims of all others having medical subrogation rights or medical liens against the amount received or recovered, shall be paid to the Department within 30 days of the entry of the court's order. (3) If an agreement has been reached pursuant to subsection (a3) of this section, then the agreed amount, as prorated with the claims of all others having medical subrogation rights or medical liens against the amount received or recovered, shall be paid to the Department within 30 days of the execution of the agreement by the medical assistance beneficiary and the Department. I do not think the 30 day deadline to file a motion applies to this situation if you have already paid Medicaid. I think you should only have to write a letter to HMS/Medicaid, show them what you paid, prove that there were valid liens when you overpaid Medicaid, and ask that Medicaid refund the portion of the proceeds which should have been paid to valid medical lien holders. I don't know if Medicaid would want to make that check payable to your client (I'm guessing they will want to do that), or to the medical providers. Then it would be up to you to distribute the funds. Practically, if you had the valid medical liens during this time, you need to notify your client of the changes in the law and that the client has the option of having you ask Medicaid to make a refund that will be paid toward their unpaid medical balances. But wait, I paid Medicaid on some liens from October of 2017 until February of 2018. I don't think those cases needed a lien reduction hearing. Do I HAVE to look back and see if any of those files had valid medical liens that should (had the law allowed at the time) have been prorated with Medicaid? Do you HAVE to ask for a refund of the (now) overpayment to Medicaid when there were valid medical provider? Probably so. Why? You have a legal duty pursuant to NCGS 44- 49 and 50, and now an ethical duty, pursuant to 2017 Formal Ethics Opinion 4, to honor valid medical provider liens, regardless of the client's desires. When you combine your duty to pay a valid medical lien under NCGS 44-49 and 50 with the ethical duty imposed to honor valid legal liens, I think you have to go back and look at any Medicaid payments you made from October 1, 2017 until February 9, 2018. In summary, this is all great news for Plaintiffs, but we have to watch the potential deadline issues! Questions? Please email me at Chris@NicholsTrialLaw.com. 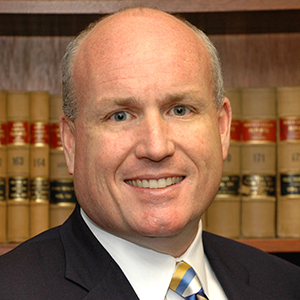 Chris Nichols is a trial lawyer with offices in Raleigh and Hendersonville. He practices in the area of personal injury, including car wrecks and tractor trailer wrecks. He is a Past President of the North Carolina Advocates for Justice. Visit his website at www.nicholstriallaw.com.